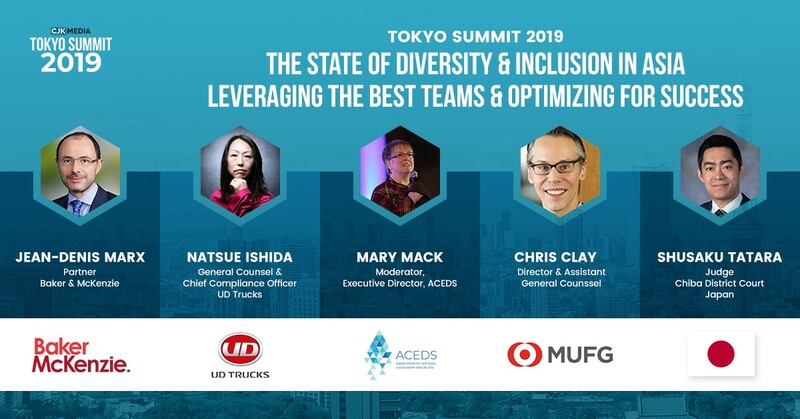 Join ACEDS at this year's Tokyo Summit! Dr. Kenzo Fujisue, Member of House of Councillors (Upper House), Japanese Parliament, will be this year's Keynote Address on "Cyber Security in the Age of Big Data - The State of Japanese Law Past, Present & Future"
Mary Mack will be moderating the panel "The State of Diversity & Inclusion in Asia - Leveraging the Best Teams & Optimizing for Success" along with panelists Jean-Denis Marx, Natsue Ishida, Chris Clay and Shusaku Tatara. Sponsorship opportunities available, please reach out to kwalstad@aceds.org.